4Br, 1.5 Ba Colonial In Lynbrook Sd 20. 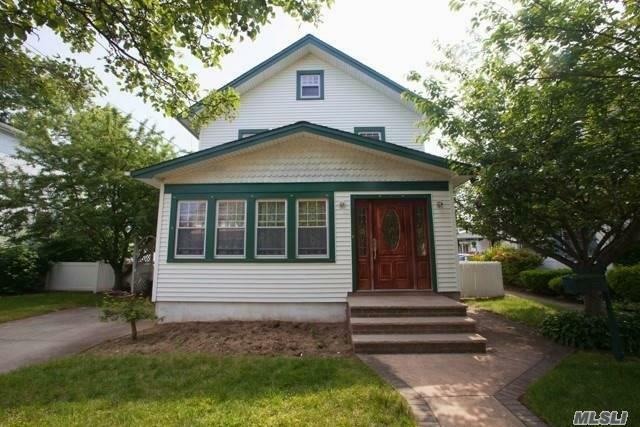 Front Entry Room, Lr, Fdr, Office, Full Unfinished Basement With W/D, Walk Up Attic W/Potential For Living Space. Close To Rr, Shop, Parks, Trans. Wood Floors, Radiant Heat Eik/.5 Ba. Taxes Were Successfully Grieved, Will Be Lowered.